The most requested iPlayer programmes of the past year have been revealed, with two dramas dominating the chart. 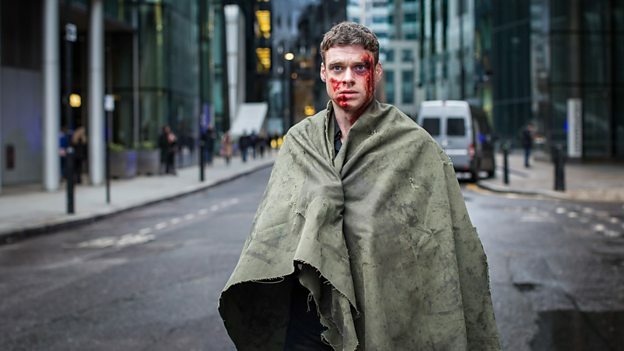 Award-winning British dramas Bodyguard (pictured) and Killing Eve topped the chart, with Bodyguard breaking through the 10 million request barrier. McMafia came a distant third, with 4.7 million requests. Overall in 2018, the BBC says 3.6 billion programmes were requested on iPlayer throughout the year. On an episode-by-episode basis, Bodyguard and Killing Eve dominated the top 10 episode list of 2018. Bing, from CBeebies, became the most requested children's programme, while BBC coverage of Sweden v England in the FIFA 2018 World Cup reached tenth place. Killing Eve was officially part of BBC Three's online offer, which may help the service build from its previous lows. Ofcom data released last year said only 8% of BBC Three's target audience actually watched BBC Three Online programmes. In December, the best performing programme was Mrs Wilson, the real-life story which stars Ruth Wilson playing her own grandmother. The first episode got 2.1m requests and the second just under 2m, pipping The Apprentice to the top spot for the month as its Christmas Chocolate episode received 1.8 million requests. The Christmas day episode of EastEnders and the Call the Midwife Christmas special also performed well, with 1.4m and 1.3m requests respectively. In 2018 we saw people who use iPlayer increasing the amount of time that they spend watching programmes on it. Over the last 12 months viewers have enjoyed an increased number of box sets, along with other upgrades such as a selection of live Ultra HD programmes and increased personalisation. In a fiercely competitive market, with global streaming companies investing more and more in content, the challenge for 2019 is how to ensure that audiences can enjoy the full range and breadth of BBC programmes on iPlayer.